In this fun and information packed workshop we show you how to help reduce the likelihood of injury to your dogs muscles, improve their focus, speed and accuracy, and prepare them to give their optimal performance each and every time. How Pre and Post Event Massage helps to enhance and prolong your dogs sporting life and how it helps to reduce the likelihood of injury. The science behind massage and its applications in sport. 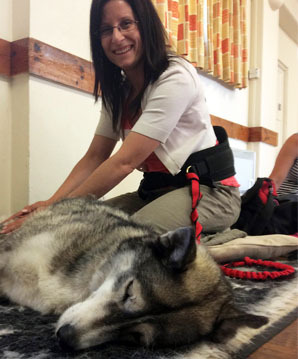 · How Pre and Post Event Massage helps to enhance and prolong your dogs sporting life. The science behind massage and its applications in sport. · How To Locate Your Dogs Main Muscle Groups You’ll be working with your own dog to do this! · 9 Massage Techniques we show you how to massage correctly and confidently by applying a set number of techniques that work on different fibre directions and layers of muscle to improve their ability to lengthen and contract. · Maintain and Gain at Home: Learn how to mix up your massage techniques from earlier in the day with this little added bonus, a relaxation inducing massage beneficial for the body and the mind. A Pre Event massage does not replace a warm up for your dog but compliments it. It prepares the body for high intensity action or sustained long events. The purpose of the Pre Event Massage is not to treat tissue as would happen in a remedial sports massage with a Canine Massage Guild Practitioner. Instead it is the skilled application of a set range of massage techniques to address the specific areas which accrue stress and fatigue and to prepare the muscles by loosening them to promote better Range of Motion. Importantly it helps to significantly decrease the chances of Muscular Injury, mainly the Strain which can cause lameness and in some cases is the reason for a dog having to retire from their sport. The massage does this by bringing flexibility, warmth and length to the tissue to enable its efficient lengthening and contractive states. 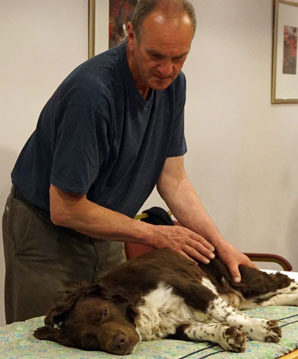 The Pre Event Massage brings many unique benefits to a dogs performance and we appreciate that all dogs are individuals. Thats why all dogs at the workshop will be given a free muscular health check to highlight areas of muscular issue that could be contributing to performance issues and muscular discomfort when some of the techniques are applied. 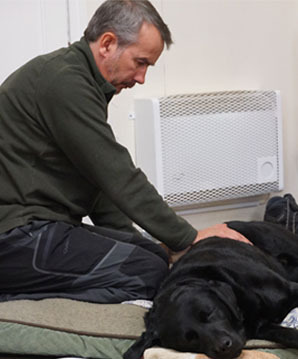 We never force the technique upon the dog so we ensure that the Routine is adapted to meet their individual needs. We will also be spending some time discussing which muscle groups accrue the most stress during a specific sport. This way you can tailor your routine in the field to address your dogs specific stress points. The Post Event Massage is typically given anywhere from 30 minutes up to 24 hours after the end of activity. It helps to aid in the recovery of exercise and sport by improving circulation, reducing muscular tension and and inducing the parasympathetic or Rest and Digest response. Its other primary benefit is helping to shift the metabolic waste products of exercise. Commonly thought of as Lactic Acid build up this is actually a myth that was debunked years ago. The soreness that is caused 24 to 48 hours after exercise is actually caused by the release of chemical irritants that trigger mild inflammation due to micro fractures in the muscle cells, this is felt as a pain signal, and in turn soreness and stiffness. DOMS is also linked to how an individual’s muscle cells regulate calcium. Post Event Massage helps to reduce soreness and pain when the correct set of Massage Techniques are applied. Who Is Your Tutor For The Day? 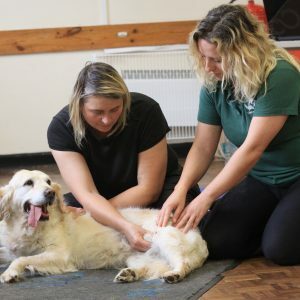 Natalie Lenton is Director of the Canine Massage Therapy Centre and lectures on the 2 Year Clinical Canine Massage Practitioner Programme in Applied Canine Anatomy and 4 Disciplines of Massage; Swedish, Sports, Myofascial Release and Deep Tissue. 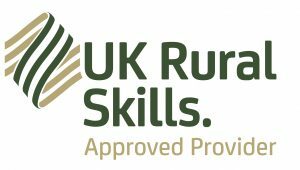 She is also an Advanced Bodyworker for humans specialising in Clinical Sports Massage as well as Dynamic Soft Tissue Release for Spinal Realignment. So basically you and your dog are in safe hands! 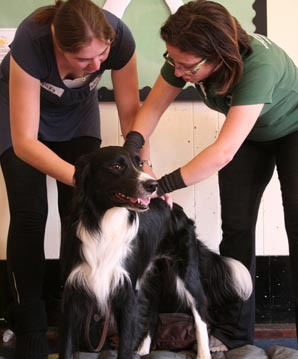 There are also other Tutors and Students from the Clinical Canine Massage Practitioner Programme to ensure you get plenty of hands on help. We create a fun, relaxed environment for you and your dog with other like minded people so you can be assured of a day you and your dog will always remember.